Many couples planning destination weddings are intent not only on choosing a place that’s special for them, but also one that is worthwhile and exciting for their guests traveling from afar. 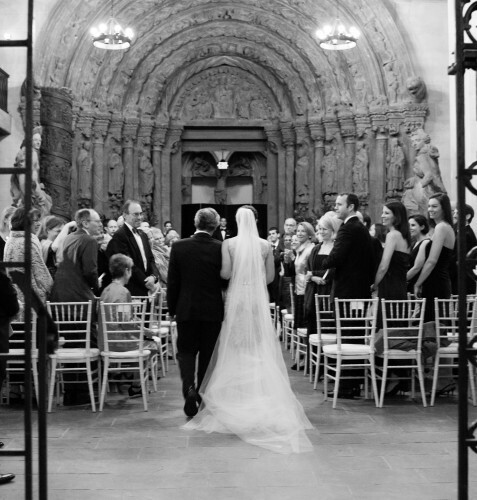 Massachusetts is an excellent choice for a destination wedding thanks to our varied landscape of both mountains and coast, our tourist hubs in Boston and Cape Cod and the unique seasonal aspects of holding an event in New England no matter the time of year. Coastal Nuptials: Massachusetts is a small state with a big coastline. Treat your guests to cool summer breezes, salty air and old time New England seaside towns… You can practically taste the salt water taffy just thinking of it. 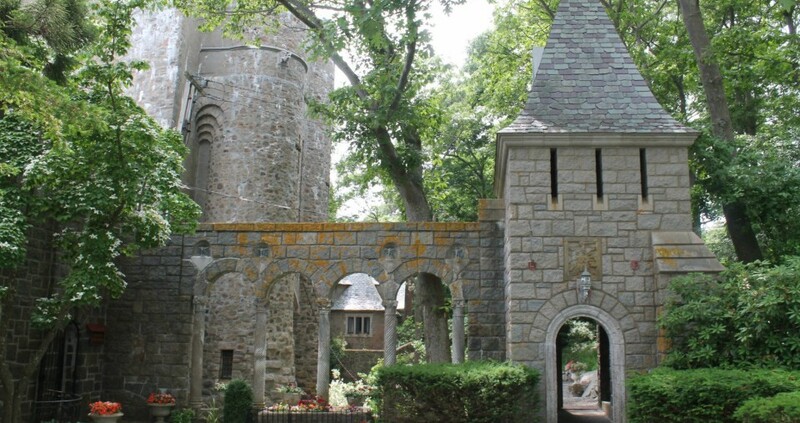 Transport your guests to a castle overlooking the sea at Hammond Castle in Gloucester, about an hour north of Boston, or travel south to the elegant gardens of the Heritage Plantation. 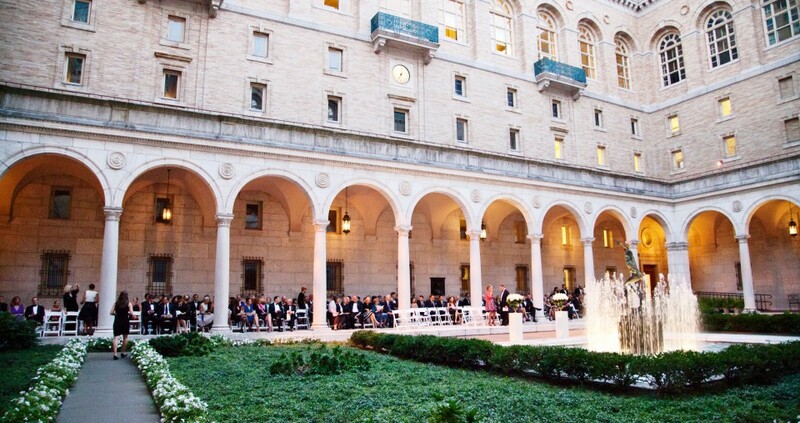 City by the Sea Wedding: If the ocean appeals but the city is your thing, take to Boston Harbor. Plan your wedding on The Valiant Yacht or Liberty Clipper Schooner for a nautical experience with a city view. 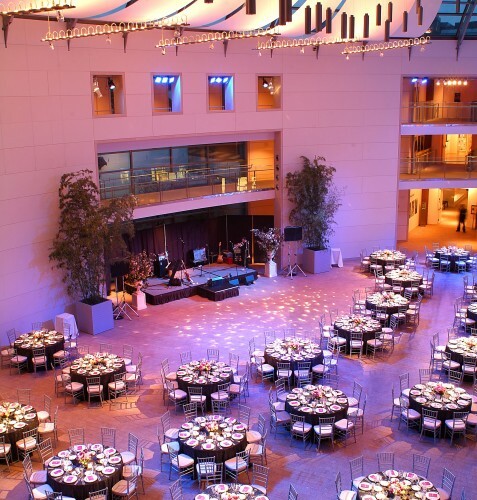 Or, party by the famous Charles River with a reception at the Harry Parker Boathouse. 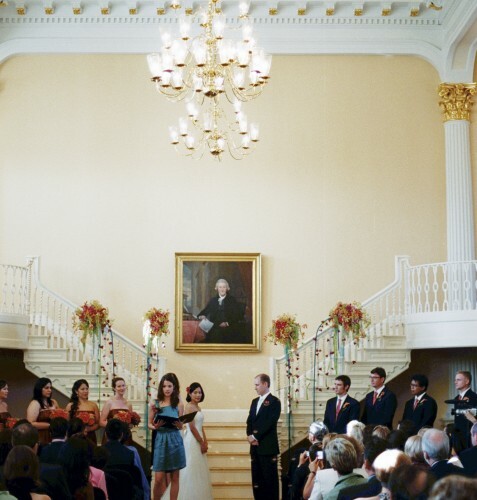 A Love That Goes Down in History: Massachusetts has no shortage of fabulous historical venues that transport guests to a more elegant time. 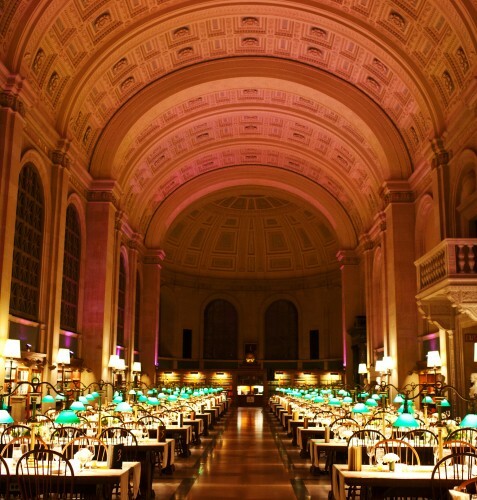 Centrally located in Boston’s Copley Square, The Boston Public Library gives your guests the unique experience of dining in a reading room. Or, try an estate like Gore Place or The Crane Estate, or a former government building like The Old State House. 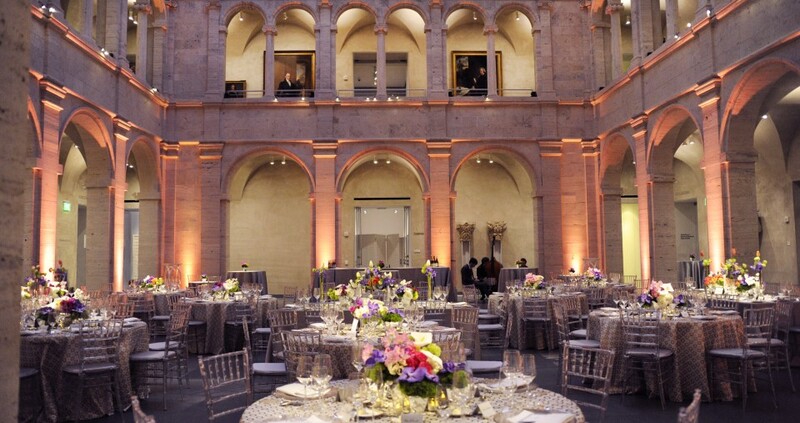 Marriage in a Museum: There’s no shortage of museums in Massachusetts, but many people don’t know they double as wedding reception venues. For auto enthusiasts, there’s the Larz Anderson Auto Museum; those who love Americana should consider the Norman Rockwell Museum in Western Massachusetts. 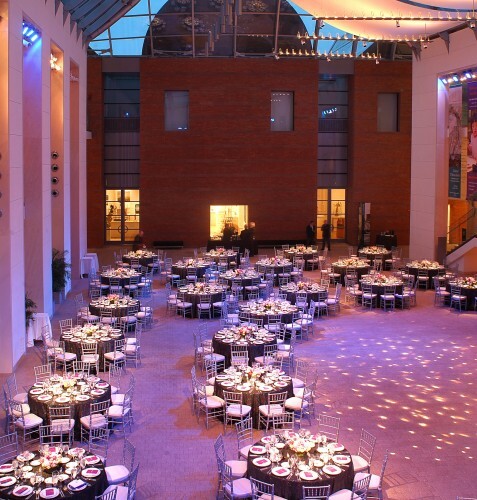 For a wedding among art, consider the Peabody Essex Museum. 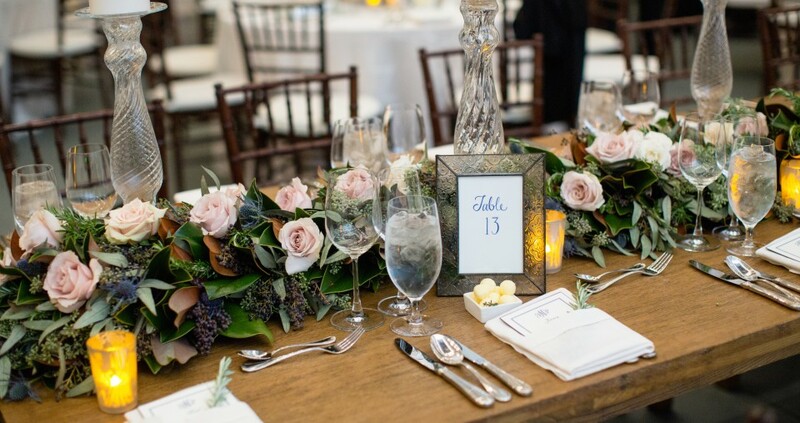 Selecting the right venue for your Massachusetts destination wedding is a delicate balance of your personality and your guests’ interest. Stumped? 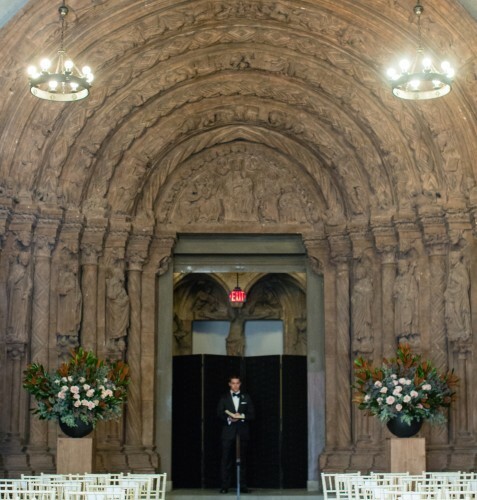 Visit our extensive list of featured venues to help you explore your option!